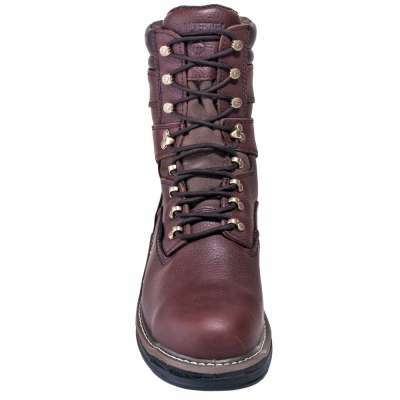 Wolverine 2407 boots are waterproof and have steel toes. You get all-over protection for those really tough jobs. They’re made with full grain leather uppers for a long work life. 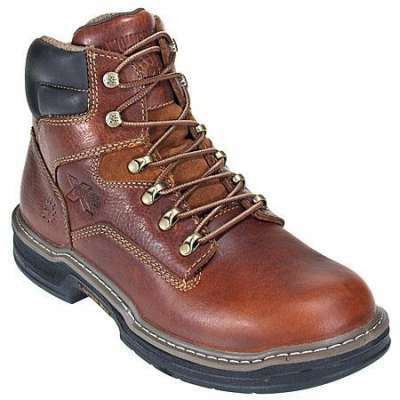 These boots meet standards for electrical hazard ratings. 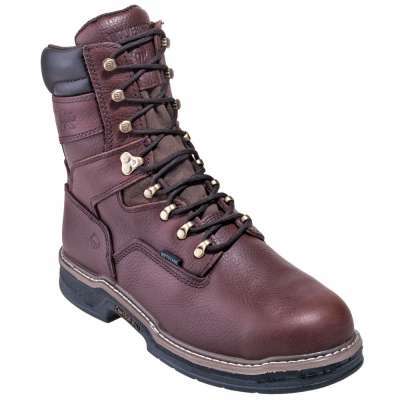 The met guards and steel toes meet workplace standards for safety. 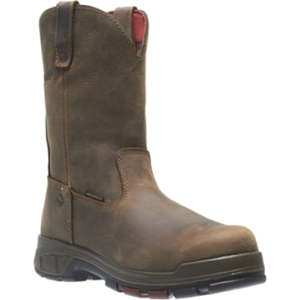 The mesh lining gives you a smooth surface for sliding your safety toe boots both on and off. The midsole’s a lightweight PU to give you good cushioning all day. We all love our toes and our upper foot. And we need to protect the things we love. Between the met guard and the steel toes, you’ve got a ton of protection. The Multishox boots feature an exclusive Comfort System includes a removable full-cushion footbed and slip-resistant rubber lug outsoles. In fact, they’re so comfortable the comfort is guaranteed to last all day. The lightweight PU midsoles, nylon shanks and contour welt construction all work together to get your comfort level high. 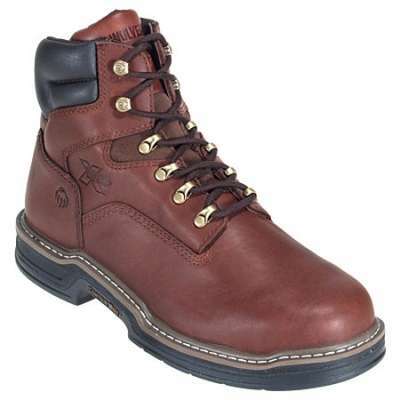 The Contour Welt Boots work by bend where your feet naturally flex so they don’t have to work as hard. There are individual compression pads in the heel and foot of these Wolverine boots. They work by absorbing the shock where your foot hits the pavement. Then they take the energy from the shock and return it, so your foot rebounds, giving you a bounce in your step. The comfort gel footbeds and flex arch supports cushion your feet while giving you the support you need. 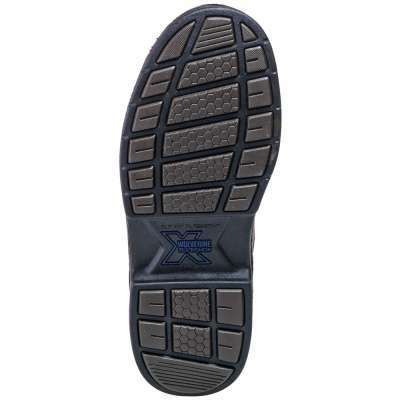 The rubber lug outsoles are designed for superior traction. They’re slip-, oil- and abrasion-resistant. 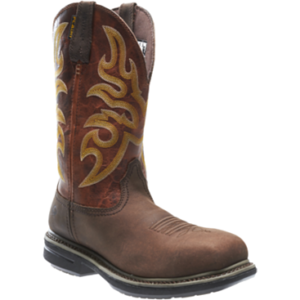 With Wolverine 2407 Men’s 8-Inch Multishox Contour Welt Brown Internal Met Guard Steel Toe EH Work Boots, you get the flexibility and comfort of an athletic shoe with the support and durability of a work boot.